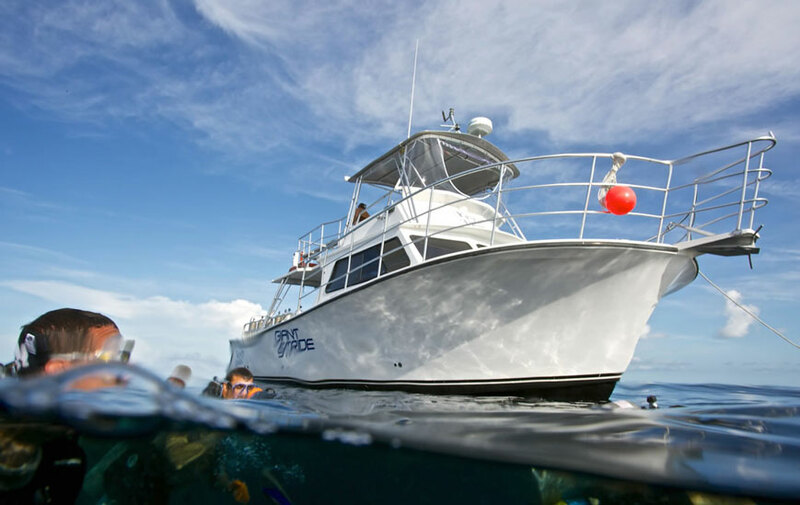 Key Dives Is A Full Service, First-Class Dive Facility. Our primary objective is to provide diving, snorkeling and spearfishing on the beautiful reefs of Islamorada in the Florida Keys. Our primary objective is to provide diving, snorkeling and spearfishing on the beautiful reefs of Islamorada in the Florida Keys. With this in mind, we will over-service our very valuable guests and make their vacation one to remember forever. After you bring us your gear on the first day, you don’t touch it again until the day you pack up. We take it to and from the boat, set it up for you, switch it over between dives, rinse it, and hang it to dry so it is ready to go the next day. We call this service “goochi diving” (we might get in trouble if we use the actual spelling). We do all the work so you can focus on relaxing and enjoying your dives.